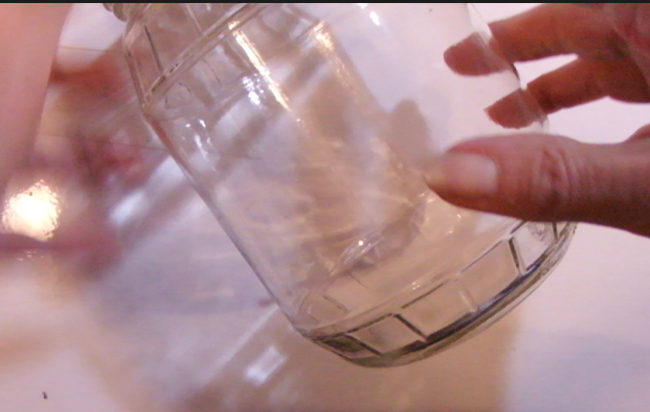 Hi There, My project this month for LESSology Challenge #20 "Barely There" started with a glass jar. 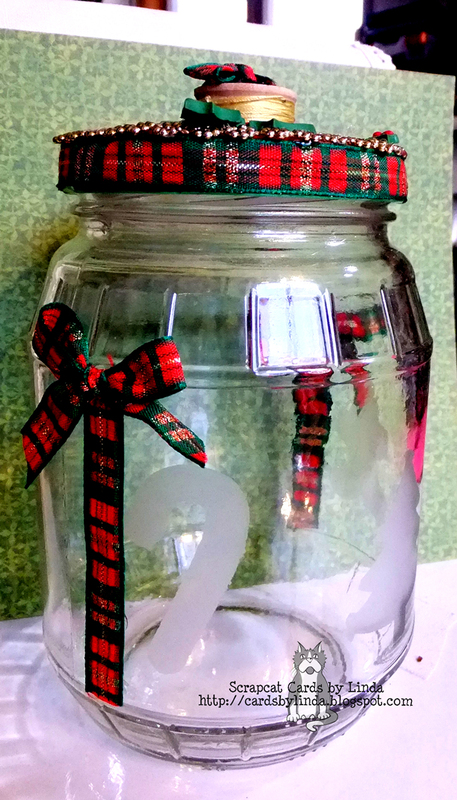 I am starting to plan my Christmas gifts and I created this to hold some of my homemade peanut brittle. This is how it ended up after a little bit of glass etching, some felt, ribbon and doodads. Can you see the candy cane? There is a candy cane, a tree and a ginger bread boy etched in the class. Here is the video telling how I made my gift jar. Paper Made Bakery is an online kit club featuring Fresh Baked Kits full of crafty goodness perfect for card making...and lots more! We bring you the best product in the industry including clear stamps, 6x6 patterned papers, note cards and envelopes, plus lots of fun and unique embellishments. Our Baker's Dozen subscription is perfect for those of you who love to get a package of fantastic paper crafting goodies delivered right to your doorstep every month! Visit us daily for fun inspiration as our design team brings you a fresh new project every day! 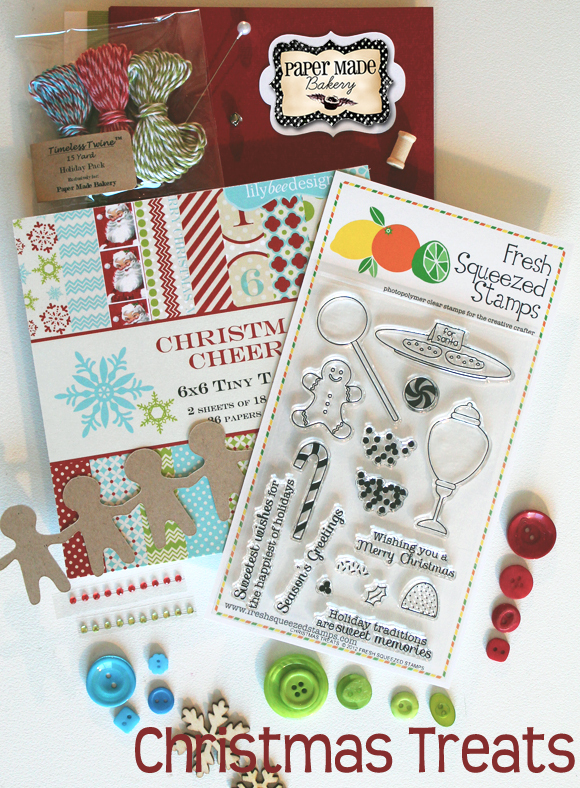 The prize this month is the Paper Made Bakery's November Fresh Baked Kit - Christmas Treats!!!! This is a fun challenge and I hope you will join in the fun for a chance to win this generous prize. You are seriously AMAZING!!! WOW WOW WOW!! I just loveeeeeeeeeeeee this!!!! so, umm...errr...Linda...dont you need my address to send me that cute goodie jar? he he he! Absolutely adorable! 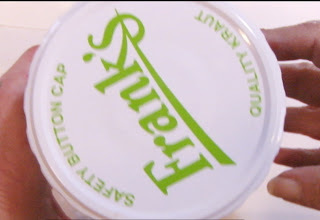 Wowzer Linda this is awesome what a fantastic transformation such a beautiful container to hold your homemade peanut brittle, brilliant work. 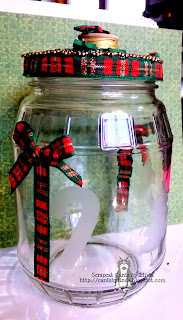 Fabulous decorated jar Linda - I love how you always come up with something so inspiring for your LESSology creations!!! That Jar looks Amazing. Love how it turned out.